Terry-Thomas (born: Thomas Terry Hoar Stevens) (1911 – 1990) was an English comedian and character actor. The hyphen: Thomas Terry Hoar Stevens tried multiple variations of his name in preparation for a career on the stage. First with ‘Tom Stevens‘, then reversing as ‘Mot Snevets‘ before finally settling for ‘Terry Thomas‘. 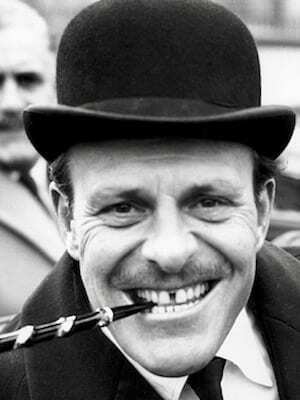 He later added the hyphen (‘Terry-Thomas‘), which he likened to the gap between his teeth.